At the power supply side, the amp's umbilical cord is fixed. On the other end sits a multi-pin connector. That meets its mate at the back of the SPA-one. There also sit two pairs of RCA inputs to be used either for MC or MM type cartridges. Next to each pair of connectors sit a pair of RCA-type load connectors. Between the two input pairs are an input selector switch and the common ground terminal. Our review sample sported only RCA type output connections. 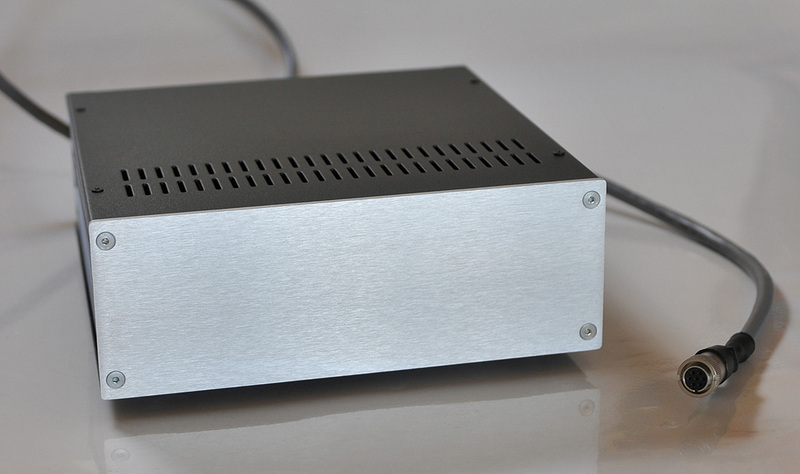 Over at the front of the phono preamp, the same simplicity rules. A power switch with an indicator LED and an MC or MM switch with LED indicator is all there is to it. When for instance both MC and MM cartridge are used, two switches need to be operated, the switch at the back for input 1 or 2 and the switch at the front for the choice of MC or MM. Though switching can be done without powering the phono amp off, it is recommended to have the volume of the next stage in the system turned down all the way. According to company owner and designer Andreas Hadjiminas, the SPA-one Special Edition has a generous frequency response of 10Hz to 200kHz within 1dB of the RIAA curve while THD is less than 0.05% in MC mode and 0.005% in moving-magnet fashion. Signal to noise is rated at -62dB for a 0.2mV MC input. At 0.5mV that figure goes to -70dB. High-input MM cartridges with 2mV score -80dB of SN/R. Total gain for moving coil input is 58dB; and 47dB for MM. Noise has been the biggest challenge for Andreas' design. One of the reasons to abandon the trusted 12AX7 as input tube was noise. In the Russian 6C45П, a heavy duty preamp tube with the lowest equivalent noise resistance of any tube, Andreas found his soul mate: "With its single triode per bulb, it has a thick plate to withstand plat current in excess of 40mA, cranking up consumption to that of a small power pentode! 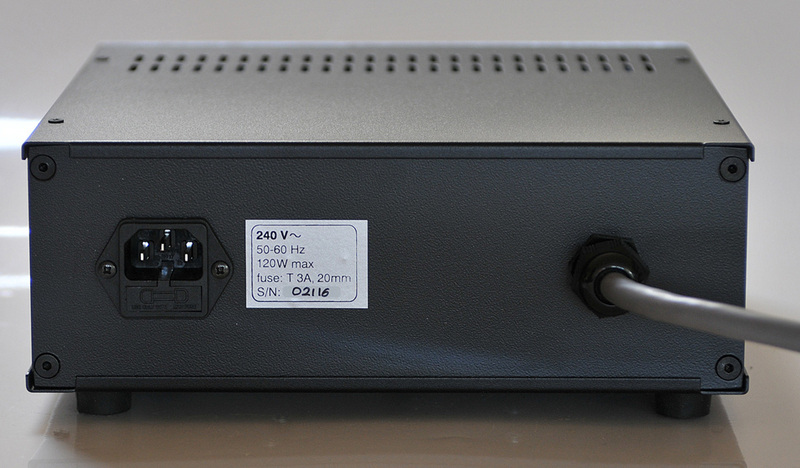 In this design I use two per channel, making this one of the lowest-noise tube phono preamps I can imagine." Andreas' next issue was RIAA equalization. "This requires ample amplification" he states. "More than 40dB+ headroom are needed to implement it properly" which means that "one tube stage is not enough. So I use two 12AX7 stages with a 12AU7 cathode follower output while taking advantage of the merits of both passive and active equalization." 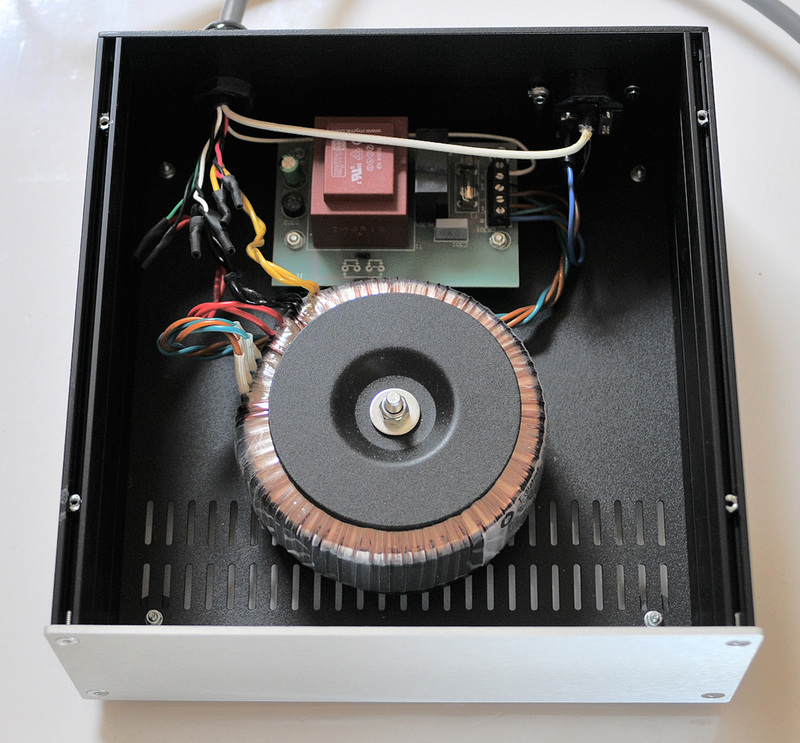 With the SPA-one SE still in cabrio fashion, the quality of the amp's layout and its parts is obvious. Kiwame are the preferred supplier of carbon-film resistors used in the signal path and for other places in the circuit where sound quality is affected. Andreas prefers the more natural sound of these green resistors over the noisier metal-film variants. Capacitors also make their mark on sound quality. In the SPA-one SE, Mundorf and Nichicon are the chosen suppliers. Besides the outboard power supply, enhancements which Andreas concocted to justify the Special Edition tag are gold-plated tube sockets, revamped PCB trace layout for shorter wiring and a new star-grounding scheme. Standard, the SPA-one SE is pre-configured for an input load of 1000Ω for MC cartridges (and 47K for MM). With additional termination plugs, this MC load can be adjusted. Panikos sent us a pair of plugs to obtain 100Ω for our 40Ω-rated Zu DL103 cart. Usually we load our cartridges with 10 times the output impedance, thus some 400Ω for the Zu. As 100Ω with the additional plugs is closer to 400Ω than 1000Ω where we don't fancy the somewhat brighter sound of high input impedances, we settle for the plugs. We also settle for the supplied tubes. All tubes except for both input 6C45П are possible tube rolling candidates and there are plenty of NOS and modern candidates to market. There is good reason Andreas ships the SPA-one SE as is.